Three Community Projects are taking place this year with the help of Years 1, 3 and 5. 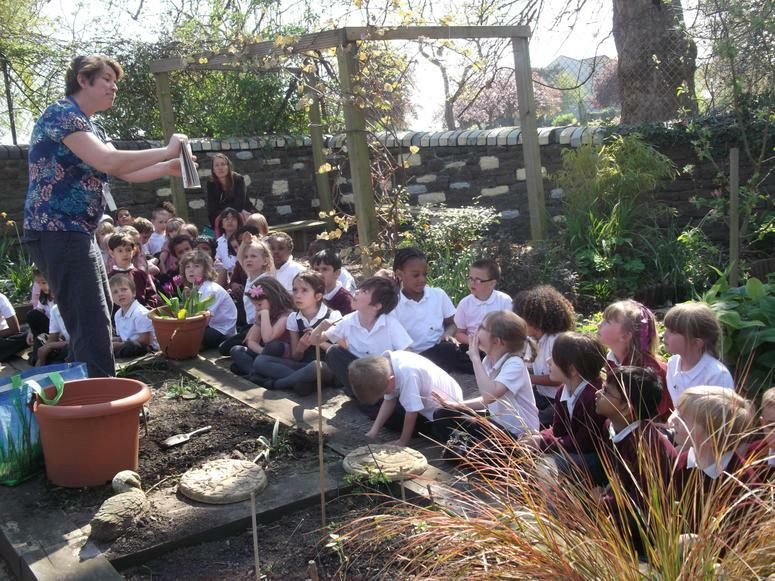 Year 5's project was to help Windmill Hill City Farm create an african Keyhole Garden. This a is stone walled, circular shaped, raised bed, with a compostable area in the centre. The children have been visiting the farm on a regular basis to firstly clear an area of land, then to help construct and fill the walls of the garden. 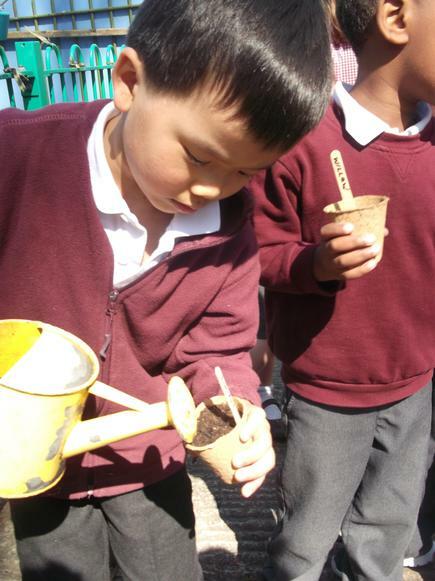 Cherry Tree Garden's maintance is Year 3's project. Their task is to visit the site and clear any rubbish, plant bulbs and tend to garden. 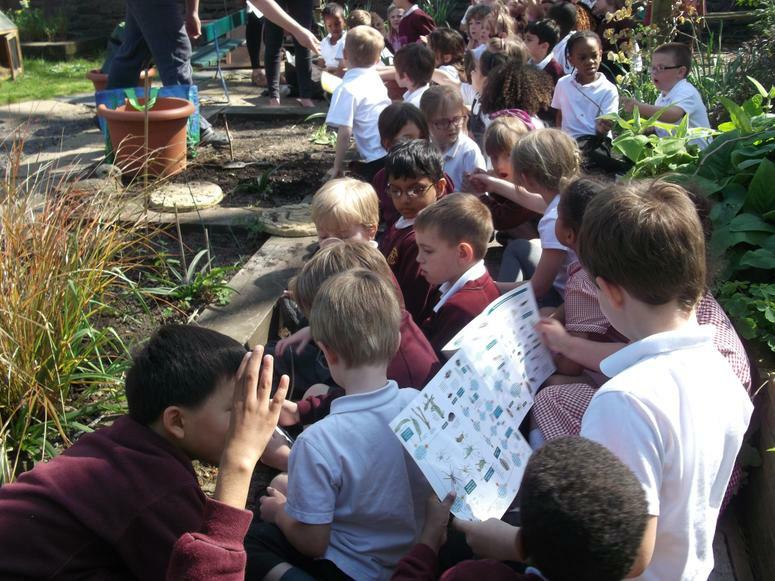 Year 1 are beginning their project to support Victoria Park Wildflower Group plant some wildflower plants around the park. The project links in beautifully with the children's current science topic - plants and animals. 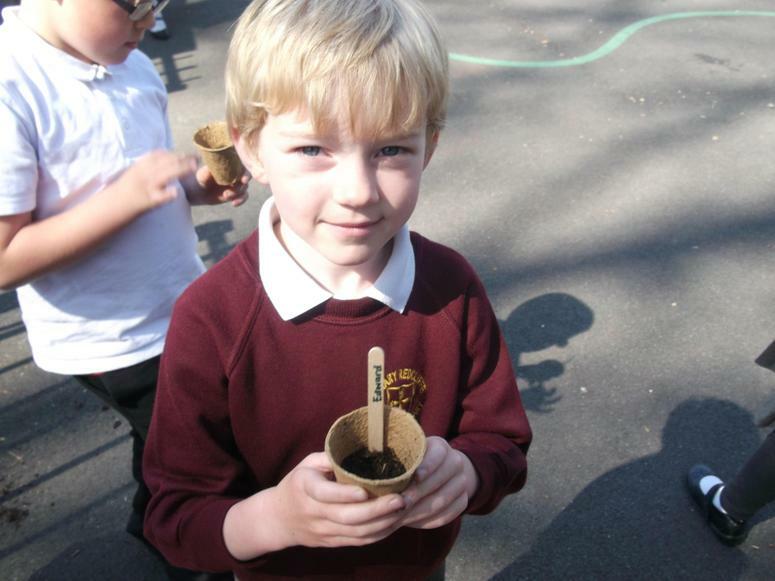 The children have planted wildflower seeds in pots and will care for them until they are grown enough to replant in the park.